How can I change the title and instructions of an exercise? All exercises on Physitrack have been professionally written and recorded by experts in their field. However, it may be that you would like to use a different title or description for our system exercises, perhaps so that you can find an exercise more easily in our library, or perhaps because you want to use your own set of instructions. Please keep in mind that the audio instructions are not updated when you update the description. 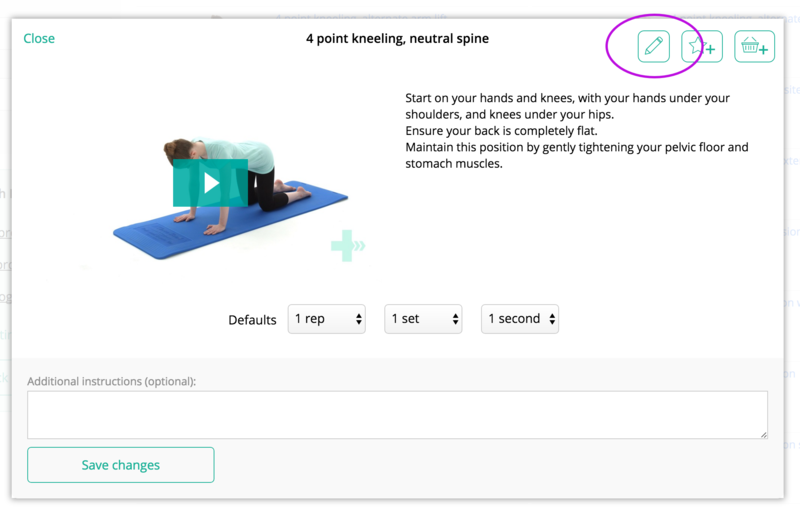 Hover over the thumbnail for the exercise that you would like to edit. The image will begin to move, and you will also see a star appear above the image and an edit button in the top right corner. Click on the "Edit" icon. 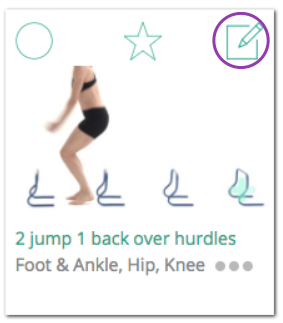 Alternatively, when in the exercise preview window (if you have clicked the thumbnail to open the exercise) click the edit button in the top right corner. Change the title and/or description to your liking, and click "Save changes". 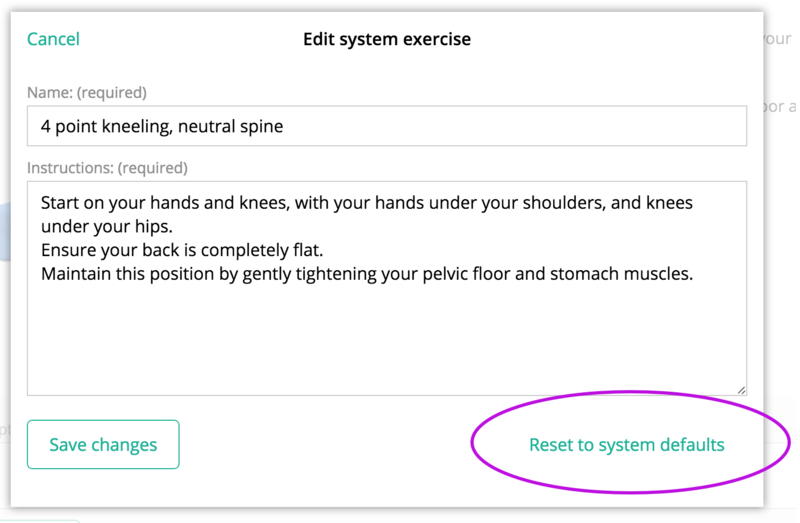 If you would like to reset the title and text to Physitrack defaults, press " Reset to system defaults". How do I mark an exercise as a favourite? 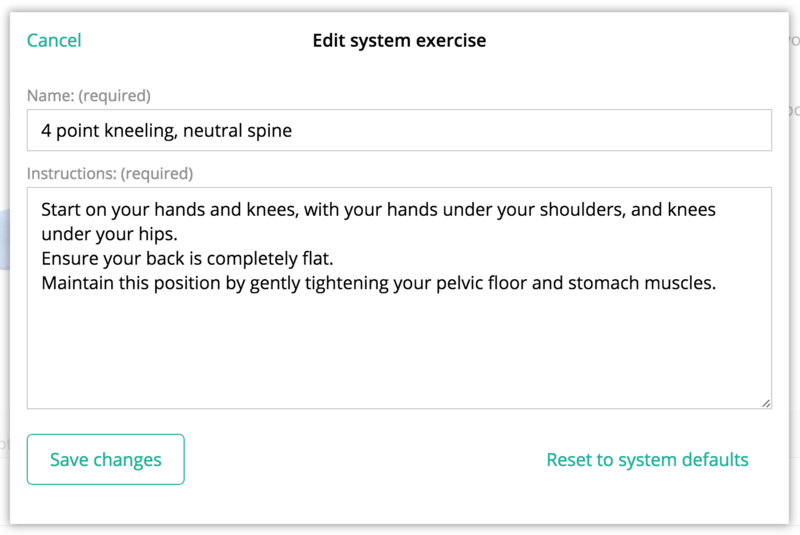 How do I edit or delete a custom exercise?